Are you searching for the best dog insurance plan online? If so, congratulations on taking the steps necessary to have in place a pet health care plan should your beloved dog have an unexpected need arise. With so many insurance providers out there, it's hard to determine which is the best dog insurance among them. Naturally, one insurance provider proclaims that they are the best among the rest. This article outlines the tips for finding the best dog insurance and what a really good pet health care plan should include. Isn't this the worry we all face, considering the growing expense of veterinary attention, plus the chance of unexpected illness or accident? Your furry friend could lick up anti-freeze, run out into the road, or be attacked by a Lyme-infested tick, and all your savings could very well evaporate. Or something worse. Maybe you have thought about pet insurance but didn't know the place to start. Some basic guidelines will help you compare the various plans out there to get the best dog insurance to suit you and Boomer. 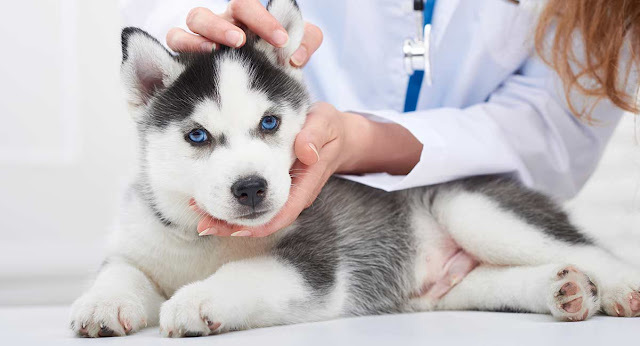 The best dog insurance will provide health care for your dog while protecting your ability to pay the bill. While no pet insurance policy pays 100% of vet costs, the reimbursement it provides could make the difference. Before you start researching, write down specific information about your dog. Breed, age, current medical condition, date of last vet visit, activity level, and any genetic or recurring illnesses, are all important in finding insurance for dogs. It's also a good idea to know what you currently spend on routine vet care, medications, and unexpected visits to the vet. Total up a year's worth of vet expenses so you can compare this amount to the cost of the dog insurance. Talk to at least two vets, maybe more. Ask them about their experiences with pet insurance. Most plans reimburse you rather than paying the vet. But find out if your local vets consider one to be the best dog insurance. You might also contact a multi-specialty vet practice and an emergency clinic. These professionals can provide estimates for the big procedures you may have not yet faced. The best dog insurance is designed to help you pay for these kinds of events. Other sources of information about insurance for your dog are other dog owners, the breeder of your dog, and even a local kennel club. You might find someone with first-hand experience with dog insurance who can give you a good idea what to expect. There are many types of dog insurance plans. Some cover accidents and emergencies, while others will reimburse you for routine vet care. Medication can be included in the basic plan or offered at additional cost. Look for a pet insurance plan that reimburses a percentage of the total vet bill. Some plans only cover "usual and customary" charges, which are averages collected by the insurance company. This is often much less than what you will pay the vet. Every pet insurance plan has deductibles, co-pays, and policy limits. The best dog insurance will have annual deductibles and limits so if your dog is sick more than once in a year, these limits won't kick in every time you go to the vet. You can choose the co-pay percentage that works best for you. Two of the most important factors in dog insurance are pre-existing illness and breed-specific exclusions. If your dog has been treated for anything recently, most pet insurance plans will not pay for treatment with a diagnosis for a certain period of time. Unfortunately, some dog breeds have hereditary or genetic health problems that may require more vet care than other breeds. Your first choice dog insurance plan may exclude your dog if she's one of these breeds. There may also be exclusions for older dogs or those with chronic illness (like allergies). Be sure you look closely at all the exclusions. Choosing the best dog insurance plan can be a difficult decision. Balance your dog's health needs with the plan options and the total cost per year. You may be more willing to pay out-of-pocket for routine care than pay a higher premium every month. Or you may want the security of knowing the pet insurance will help pay for all your dog's vet care. It may be entirely possible that you may conclude there is no best dog insurance policy for you. When you have adequate money to cover a worst-case illness or injury, that may be the right choice in your case. However you choose, you will know you have done everything you can to guarantee the health of your best friend. And you'll have peace of mind knowing you'll never be forced to put a price on his affection.